Aerolineas Argentinas is an Argentina based airline that is part of the Sky Team Alliance. They fly mainly within Argentina and South America with connections to other parts of the world. Although many airlines allow a personal item in addition to a normal carry-on item, the Aerolineas Argentinas website indicates that only one carry-on item is allowed. Also, the weight you’re permitted varies by ticket type and destination. 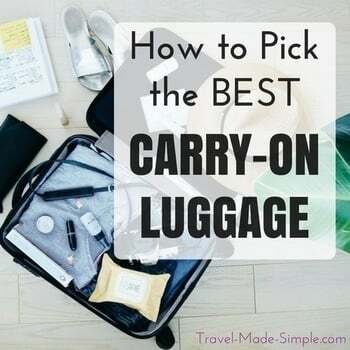 You’ll find more information about their carry-on luggage size restrictions below. Traveling to South America? Check out these tour reviews of Peru and the Atacama Desert in Chile.